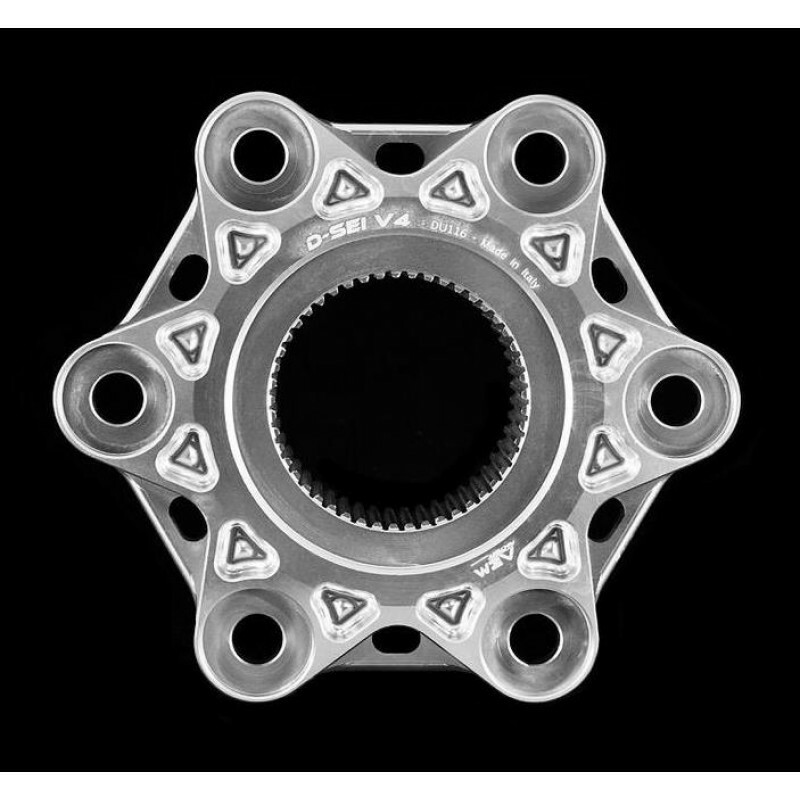 These special, ultra lightweight hubs are CNC machined from a single piece of billet aluminum and styled to be unmistakably different. 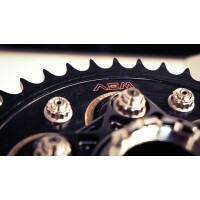 They will also work with any sprocket/carrier set up including oem. 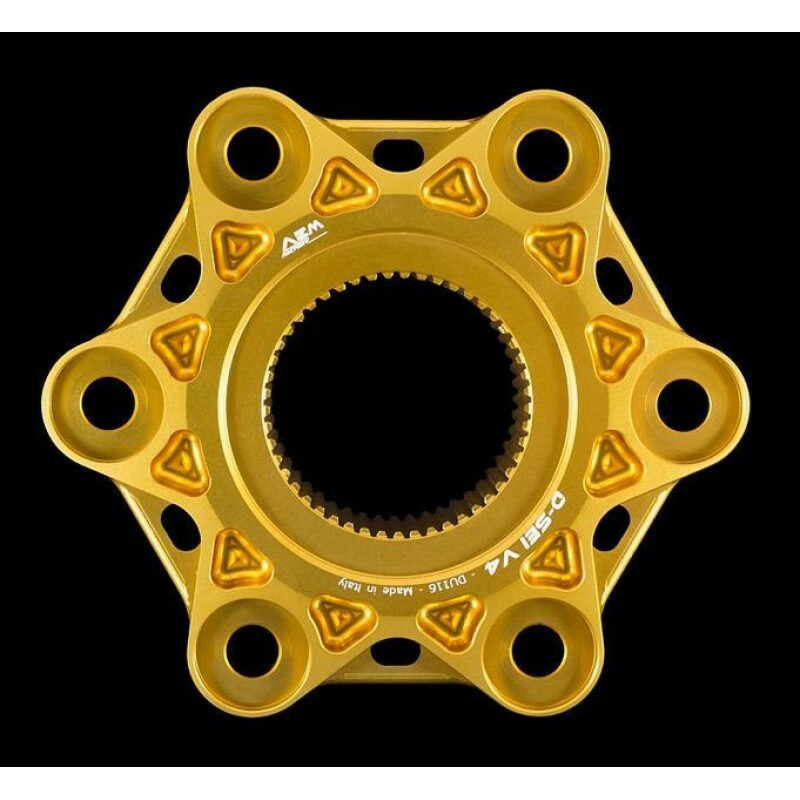 Special Order Carrier Colors: Gold, Blue, Green, Champagne, Light Bronze, Dark Bronze, Light Smoke, Dark Smoke, Light Grey, Dark Grey, Orange, Purple, Light Blue, Hard Anodizing. 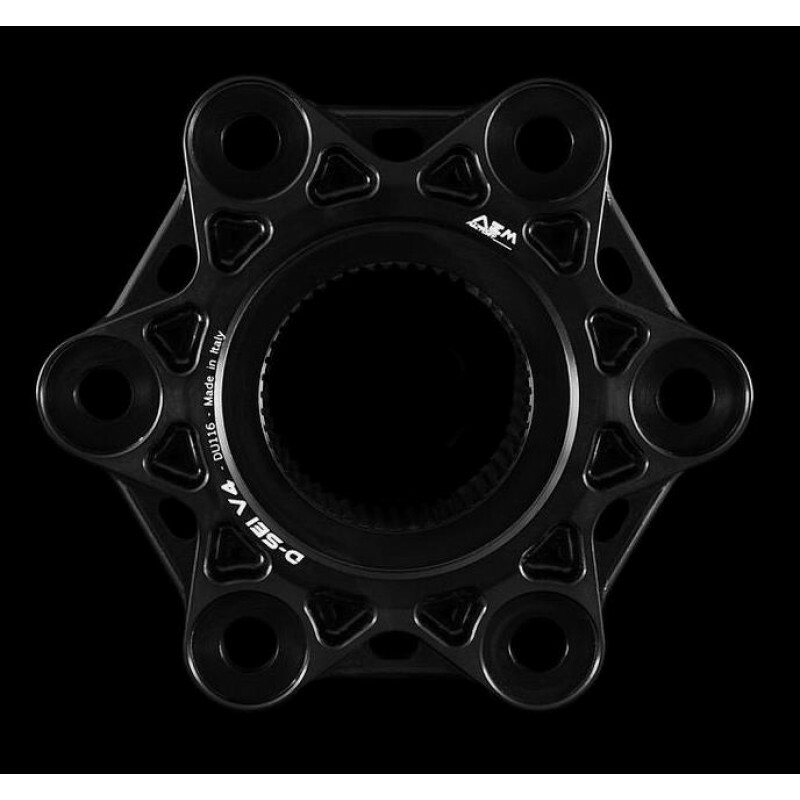 Click 'DETAILS' tab for model fitment list. 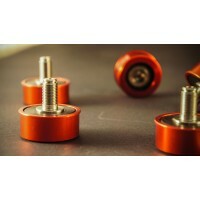 AEM FACTORY parts are all designed and made in Italy to the highest standards. Made with great atte.. 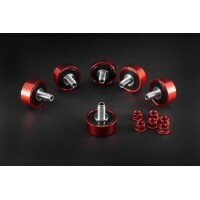 NOTE: THIS ITEM HAS BEEN REPLACED BY THE KIT WITH COLOR MATCHED ALUMINUM NUTS. 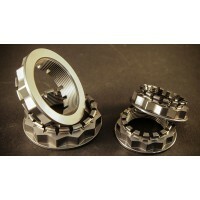 TITANIUM NUTS ARE N..
AEM FACTORY parts are all designed and made in Italy to the highest standards. 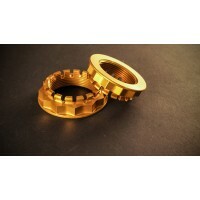 Made with great..
AEM FACTORY parts are all designed and made in Italy to the highest standards. 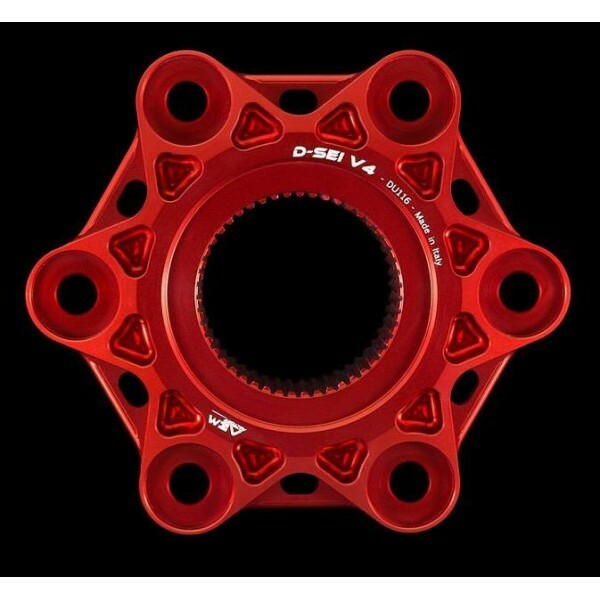 Made with gre..